Have you tried the FREE discover workshops from Power Plate yet? Throughout the year, Power Plate are running regular sessions; a great way for you to get a practical introduction to vibration training. Events are being held in London and across the country at various dates. Take a look HERE and check out dates and venues that may be near to you. We look forward to seeing you there. These 3 hour live workshops provides a practical introduction to the world of whole body vibration with Power Plate. 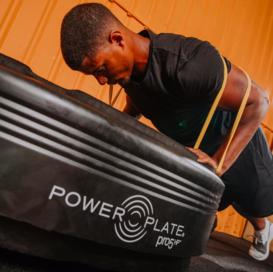 Together with your group, you will experience how Power Plate can be used to prepare faster, perform better and recover quicker, enhancing any exercise typically performed on the ground. Whether you are an individual user with personal fitness or health goals, a fitness professional, movement practitioner or clinician, the single goal is to empower you with the skills, knowledge and confidence to successfully utilise Power Plate as a means to optimise results and enhance quality of life for you and your clients.